The kids have had their sticky fingers all over their LEGOs bricks. How do you clean LEGOs?? Follow these tips to restore the bricks. Perfect for used LEGOs too. Every once in a while, some of our blocks will need to be cleaned. It’s inevitable when the kids are busy building, they can’t break away for a snack. Therefore, snacking happens while building and things can get a bit sticky. This is how we wash our LEGOs when they get a bit sticky or dirty. Cleaning them is easy to do with a few bricks at a time. Tip #1: Use warm water, not hot water. If the temperature of the water is too hot (don’t go over 104°F / 40°C), it could damage the LEGO bricks. They would start to melt and get deformed. First, try using warm water with a soft cloth or sponge. If you need extra scrubbing power, you can use mild dishwashing soap to help clean up the brick. 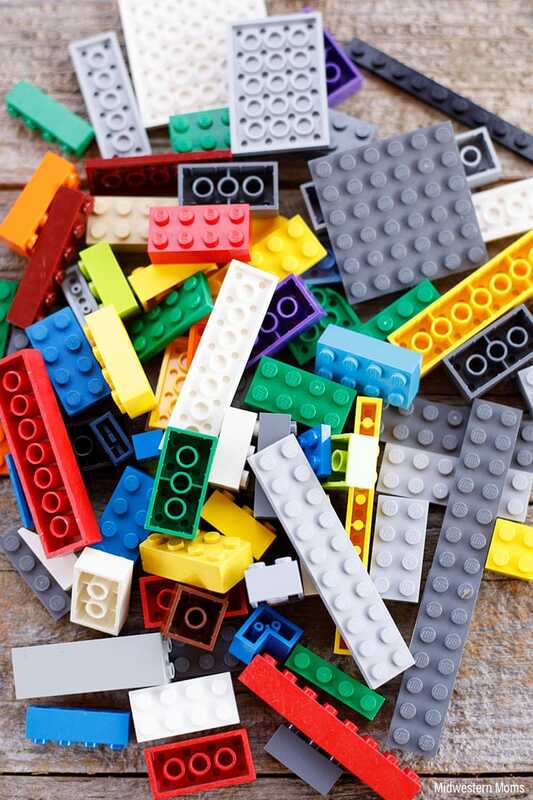 Tip #2: NEVER use the washing machine, dishwasher, or a hair dryer to help clean and dry LEGOs. This goes back to high heat issues. High heat will cause the LEGO bricks to either melt or become deformed. Also, if you use them in the washing machine or dishwasher, the small pieces could be lost in the machine and cause problems for your units. How do you clean bulk LEGOs? But what if you purchased used LEGOs?? If you are like us and scour over eBay listings looking for the best deal on LEGOs, you will need to know how to wash bricks in bulk. Recently we purchased about 40 pounds of LEGOs off eBay. We got a heck of a deal! Seriously, when you are looking, you can find excellent deals on there! How in the world you clean that many bricks? Run warm water in your tub and add the bricks. When you have enough water, turn it off. We used our hands to help move the LEGOs around and scrub a few that needed it. We allowed them to soak for a few hours to help rid the bricks of any dust or grime. Drying turned out to be a chore. There are a couple of options. The first option is to fish out all the LEGOs and place them on towels to air dry. Be careful of small clear pieces that you could miss. You don’t want them going down the drain. The second option takes some skill. Some of the LEGOs will be very small. If you can police the drain, you can slowly let the water out of the tub. Then allow the bricks to dry in the bathtub. But if you chose this option, you need to be extra careful. You don’t want any pieces to go down your drain and into your pipes. I highly suggest you choose option 1 and place them on towels to dry. 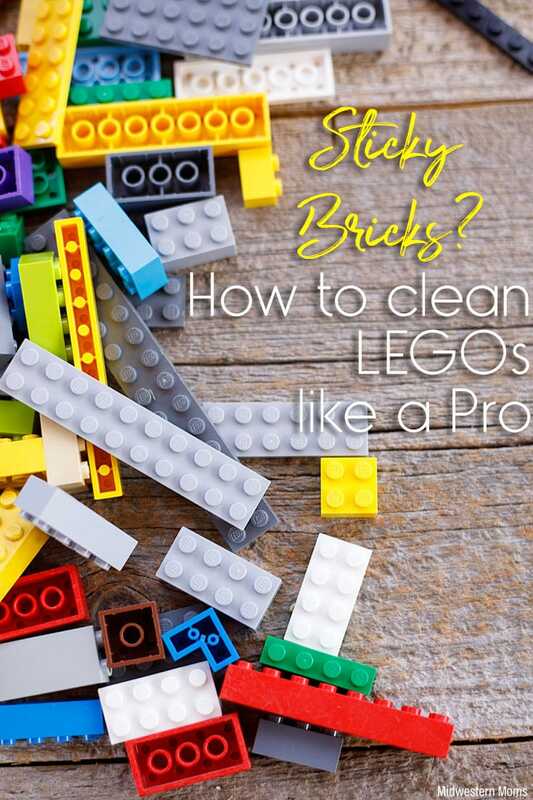 Cleaning those little plastic bricks is very easy to do. Now the kids will have clean LEGOs to play with! Have any more tips? Leave them in the comments and let us know!